CEI-IUL will host the conference ‘Normalcy and Normalization in US-Cuba Relations: The Role of Reciprocity in the Management of Asymmetric Rivalry‘, held by Arturo López Levy, on November 14, at 18h, in Auditório Mário Murteira (building Sedas Nunes, ISCTE-IUL). 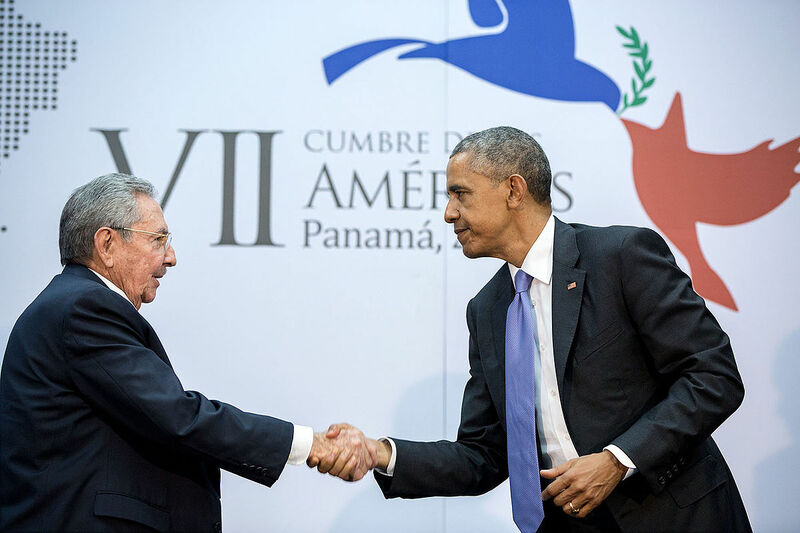 On December 17 2014, Cuba and the US reestablished diplomatic relations. This reflected an interest to normalise the link between both countries. Among the challenges of the new process is the definition of ‘normal relations’ and the appropriate dynamics to get there. Professor Lopez-Levy’s research seeks to analyse those challenges from the perspective of asymmetrical relations, and the role that the latter have in the different concepts of reciprocity and the adoption of international norms. Dr. Arturo Lopez-Levy is a Lecturer at the University of Texas-Rio Grande Valley. Lopez-Levy has taught different courses about American politics, Comparative Politics, Problems of International Relations, and Latin American Politics at the University of Texas, New York University, the University of Denver, the University of Colorado in Boulder and the Colorado School of Mines. He has a PhD in international studies from the University or Denver and master degrees in International Affairs from Columbia University – NYC, and Economics from Carleton University – Ottawa. He also graduated from Cuba’s Higher Institute of International Relations (Diplomatic Academy) and worked as a political analyst for the Cuban government until 1994. He is co-author of “Raul Castro and the new Cuba: A Close-Up View of Change” (McFarland, 2012). Lights out for Brazil as a security actor in Africa?